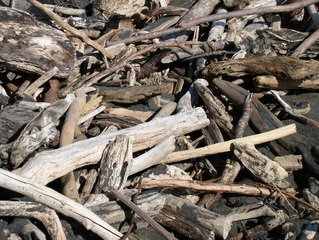 Driftwood is wood that has been washed onto a shore or beach , lake, or river by the action of winds, waves or from the tides itself. You can pick driftwood up along any of these forms of river banks or sides. This is where you can find YOUR driftwood to make your own decorative driftwood crafts. Driftwood comes in all shapes, sizes and color. Ever take a walk along the beach to watch a sunset ? Or just walk along the river bank because it’s calming and soothing ? Ever find a stick or shell or a rock,that caught your eye, and you picked up along the way, and held onto it through out your journey ? Still have that little treasure of yours ? Well, I sure have, and I still do that to this day. Some of those little treasures are used to make many of my decorative driftwood crafts. Driftwood has the same way of sticking out and catching your eye. Perhaps you think it looks different or really awesome, so you pick it up and you decide that this will be the piece that you will make something from. Then before, you know it, you have found several pieces along the way. You may have found a few shells that you found interesting and want to use them as well in your decorative driftwood project. So you have a bit of your little beach or river escape back at your home . 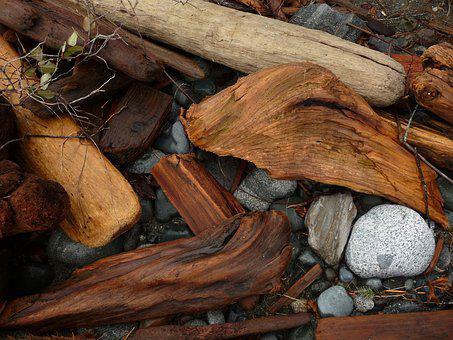 Driftwood comes in interesting shapes that have been exposed to the elements making them smooth and hard. Not only is smooth, knotty driftwood pretty to look at it provides texture to what ever room you place it in. Leave your driftwood outside for a few hours after bringing it home, to let whatever insects that might be in or on the driftwood crawl off and away. Then brush the driftwood gently to remove sand, dirt or anything growing on it. Get a large container and mix hot water and the soda together. ( I use Arm & Hammer Super Washing Soda. ) I add a cup of washing soda and mix it until it dissolves, Then, lower your driftwood into the mixture. Soak for 48 hours minimum. If your driftwood keeps rising to the surface when soaking, you may need to place a rock or other heavy object on it to hold it down and keep it submerged. (I use a gallon milk jug filled with water.) I use several jugs to keep the wood submerged. Then you will need to rinse your driftwood and dump out the old water. Rinse each piece of driftwood. ( i usually do this in the bathtub) Make sure not to let small pieces down your drain and remember to wash tub when you have finished. Soak it in a bleach solution. Get a large container, mix bleach and distilled water together, and place your driftwood under the water. Use 2 teaspoons of bleach per gallon of distilled water. Soaking in a bleach solution will help to kill off any spores or bacteria that are lingering on the wood. Keep the driftwood submerged for a minimum of 1 hour. Then place your driftwood outside to dry, Your wood may or may not change color when dried. (it may turn white or get lighter ) That’s alright. Apply a sealant, if you want. If you plan to use your driftwood for a project, you might consider simply applying a varnish or coating to the wood that suits your craft product. Choose a piece of driftwood that has a flat bottom. Vanished or unvarnished. Place the glass holder in the hole. (You can sand it,to make smooth ) Drop your candle in and light. You can decorate it any way you wish !! I hope you found useful information in this post. Maybe next time you go out on a journey next to the water, that maybe you will bring home an eco-friendly item that you can make a craft from to remind you of those memories. Perhaps you will get a chance to make your own unique driftwood candle holder ! It’s an amazing feeling when you take a little something and make it out to be a creative masterpiece. Experience the joy of doing it yourself ! The sky is the limit and the possibilities are endless !! Enjoy and go create !! By Tina LouiseIn Driftwood with sea shells plus more2 Comments on Decorative driftwood crafts…your style, your home. I am sending you the link. Enjoy creating ! Please let me know if I can be of any assistance.